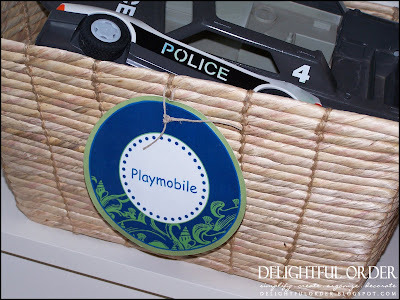 I've already shared part 1 of storing children's toys. If you missed that post, you can view it HERE. This is part 2 of how I contain toys and books in my boy's playroom. I love baskets. I use them everywhere, even in the playroom. 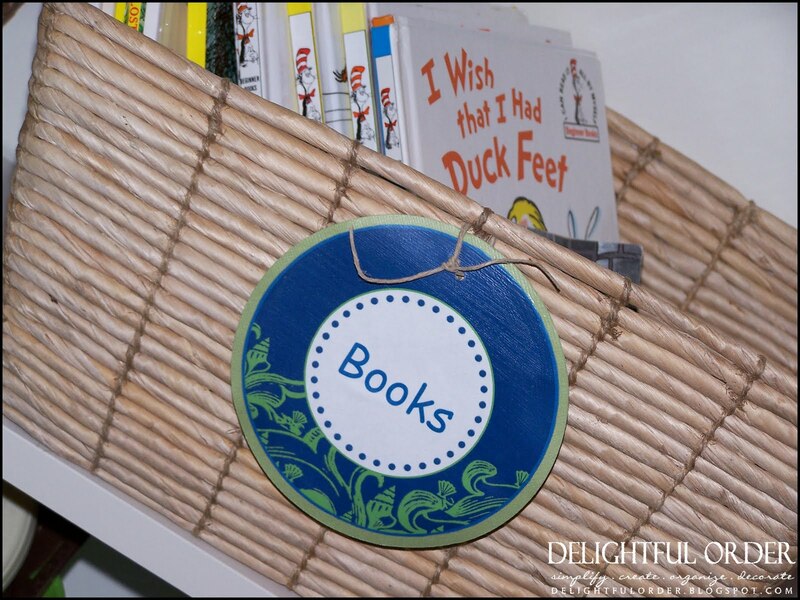 I found these Stapel Baskets at Ikea and I bought two of the billy bookcases from Ikea also. and they're only $7.99 a piece. Ikea has a smaller square version of these baskets too. and they are available RIGHT HERE to purchase in my Etsy Shop. 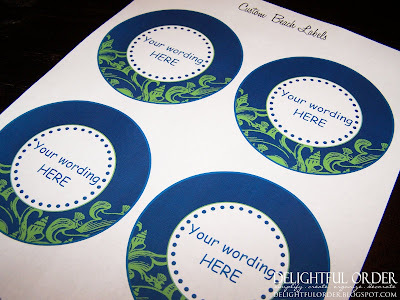 These labels can be completely customized with your own wording, giving you the option to use them wherever you choose. 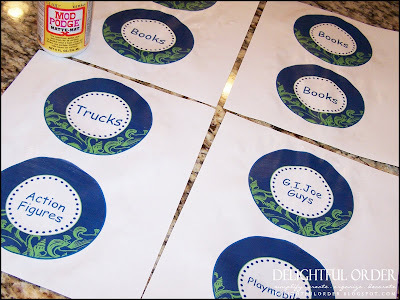 After printing the labels, I used Mod Podge to seal the label before cutting them out, because I don't want them to rip or tear. 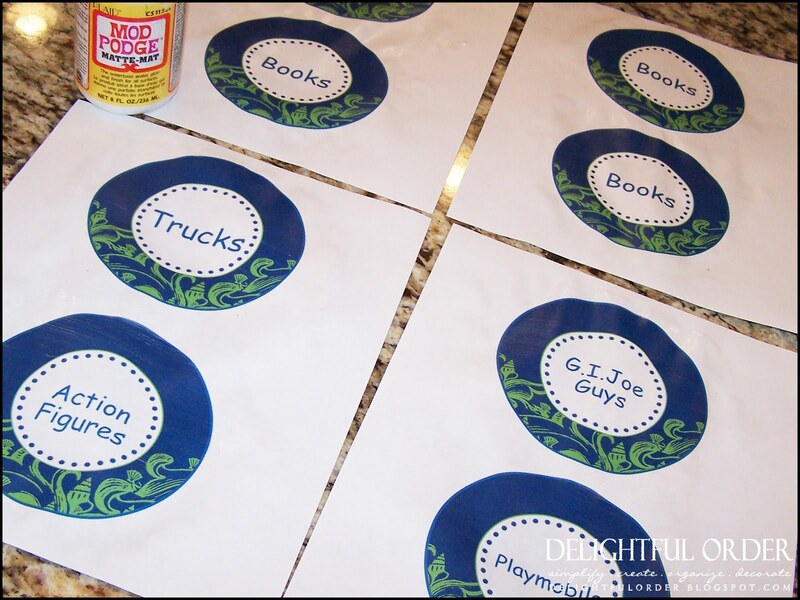 After cutting them out, I Mod Podged them onto larger green circles that I cut out using my Cricut. So far, the labels have been holding up real nice. An organized area for my children's books and toys. 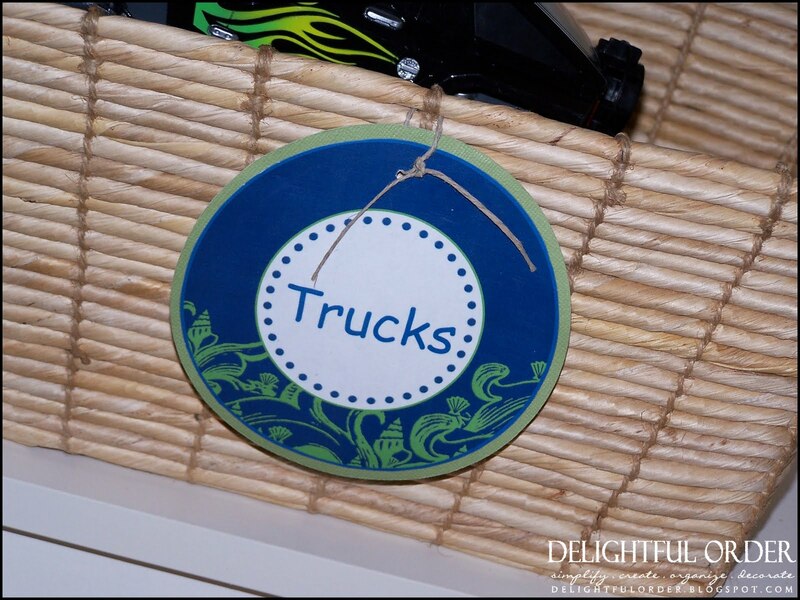 click the image above to view part 1 of toy room storage. 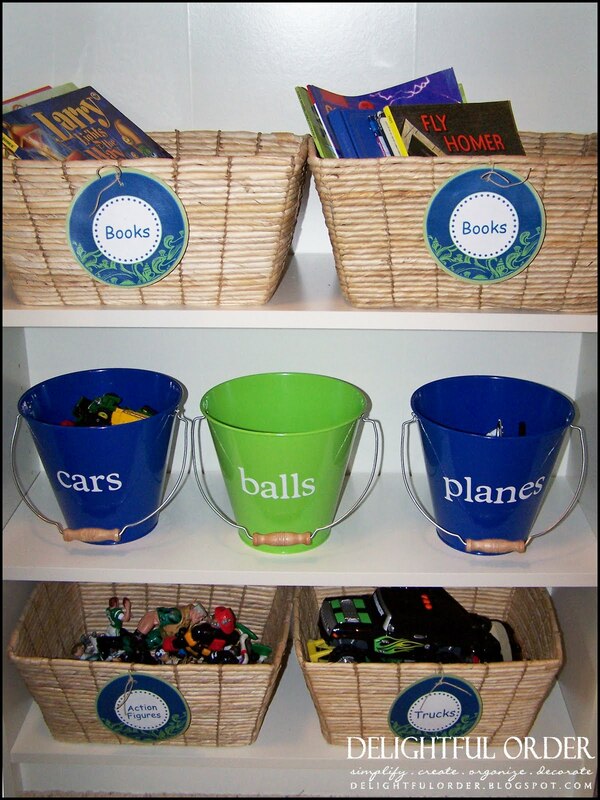 Check back soon for more playroom organizing ideas. Including storing Lego's and larger toys, to DVD's and Wii games and more. Looks so cute! Love the pails too. this is darling!!! i love organization! especially when it's cute! 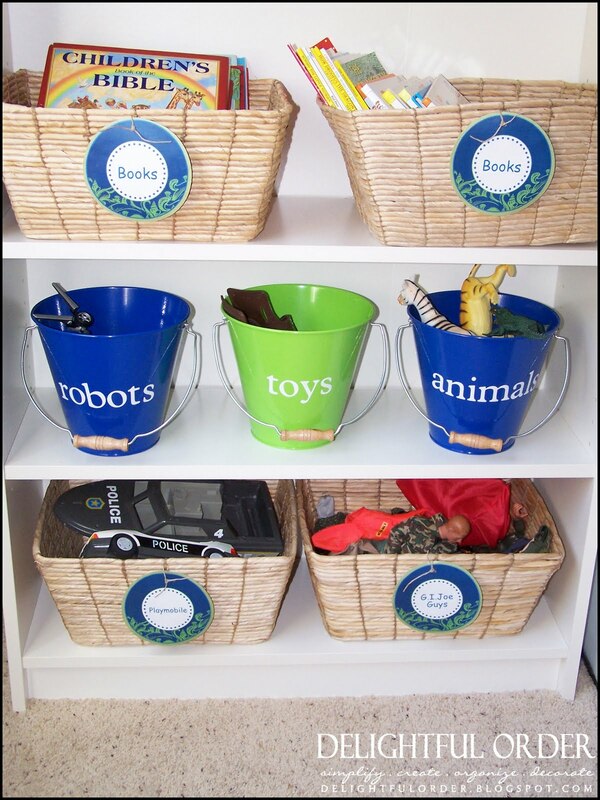 this is a great way to help kiddos learn to put things away! Very cute!! I wish my son's playroom was finished so I could get to work organizing!! Love this... Thanks for posting to my Organizing Mission Monday! Very Cute... I love the blue and green color combination. My kids' toys need to be in a main room of the home. 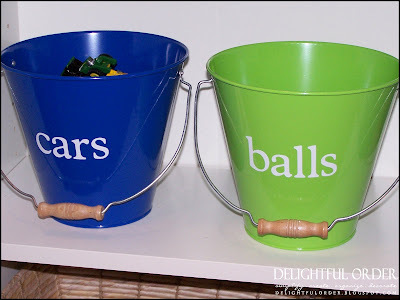 I might want something a little less obvious, and these customized pails and baskets are perfect. Thanks for sharing this one! Glad I came across your blog.